STATE CAPITOL, PHOENIX – Under the GOP rule, Arizona now is tied as the state for the third worst credit rating in the nation. State economists say California and Illinois only have worse credit ratings than Arizona, which is tied with Michigan, New Jersey and Kentucky for third worst in the nation. “With Republicans in complete control of state government, this isn’t a surprise, but it still is disheartening and disappointing for our economy and for Arizona families,” said Assistant House Minority Leader Steve Farley. The Joint Legislative Budget Committee’s monthly report (see PDF) summarized the state’s credit rating in the wake of the recent federal downgrade. Arizona experienced its own downgrade a year ago. Arizona’s credit rating is AA- from Standard & Poor and Aa3 from Moody’s. While this rating is investment grade, only two other states have a lower Moody’s rating than Arizona. 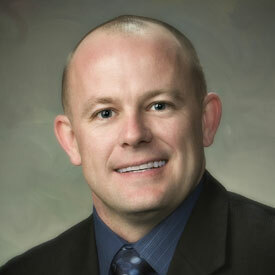 STATE CAPITOL, PHOENIX – House Minority Leader Chad Campbell sent a letter today to Gov. Jan Brewer urging her to stop the plan to build more private prisons until the Department of Corrections does its job and completes the cost-benefit and security analyses required by law. Campbell also asked for more security and enhanced training to be implemented before moving forward. Campbell asked Brewer why she would allow this to happen and asked for an immediate stop to the plan to build more lax-security private prisons in Arizona. STATE CAPITOL, PHOENIX – Rep. Debbie McCune Davis, D-Phoenix (District 14), has been awarded a certificate of appreciation from the U.S. Department of Defense for her leadership on military issues. McCune Davis this year sponsored HB 2381, a bill that protects military service members from predatory lenders. “Please accept our appreciation and that of the service members and families residing in your state for your dedicated effort towards improving their quality of life,” said Edward Kringer, director of State Liaison and Educational Opportunity in the Office of the U.S. Under Secretary of Defense. The bill aligns Arizona law with federal requirements to protect military families from auto-title lenders by enforcing a maximum 36 percent interest rate. McCune Davis said she was honored to receive the recognition for her work. STATE CAPITOL, PHOENIX – Although the every-day talents of House Democratic staff are well known around the state capitol, several staffers were appointed to local civic organizations and won outstanding awards this year. “After last year’s private prison escape and murder of an innocent couple traveling in New Mexico, it’s outrageous that private prisons in Arizona still haven’t been held accountable. These required evaluations are the least state officials could do to improve the safety of private prisons, but they were ignored completely. “Gov. Jan Brewer and Republican lawmakers continue to hand over control of our prisons to private corporations that are more interested in profits than public safety. These private prisons — which house murderers and violent criminals — have guards who are barely trained and have been exposed for repeated safety violations. Brewer and her Republicans are more interested in doing what’s right for the lobbyists and special interests rather than for Arizonans.